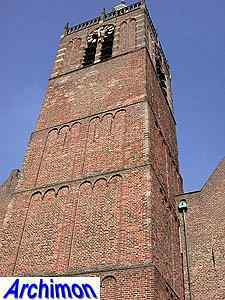 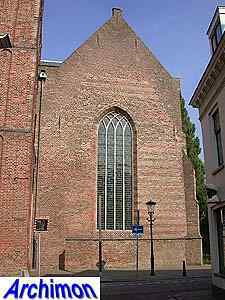 In 1327 a chapel was built in Vianen, which at that time belonged to the parish of Gasperden, the current Hagestein. 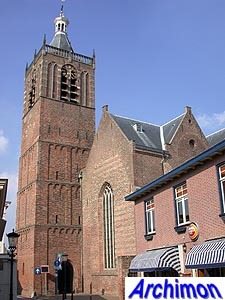 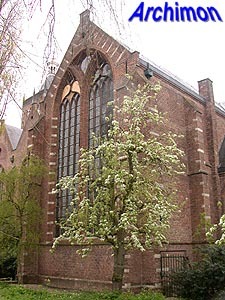 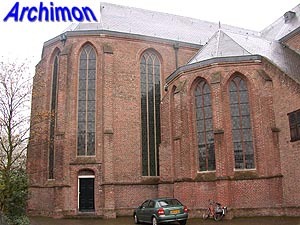 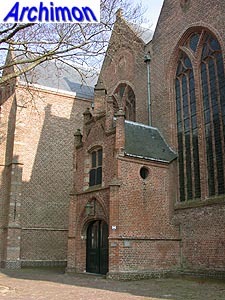 About two decades later the chapel was rebuilt into a church, although Vianen didn't become a full parish until 1435. 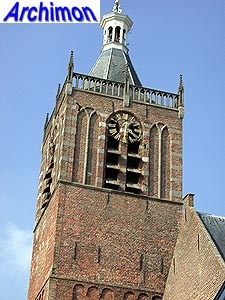 The oldest part of the current church is the tower, or better, its lower three segments. 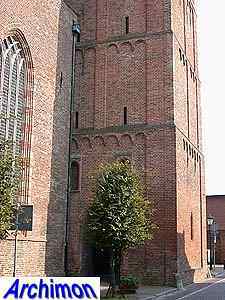 These date from the early-14th century and are detailed in late-Romanesque style. 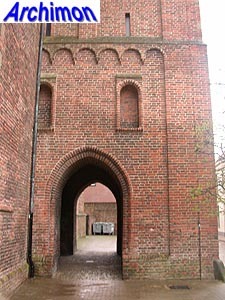 Remarkable is the gate in the lower segment, square on the actual portal. 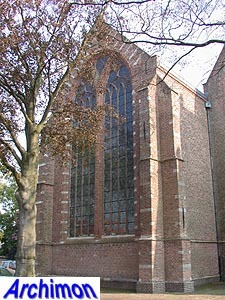 The undetailed fourth segment was added shortly after 1345. 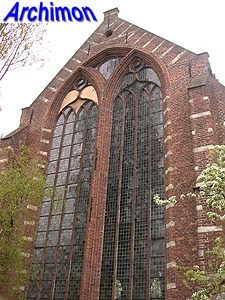 The upper segment was added after 1433; decorated with layers of natural stone. 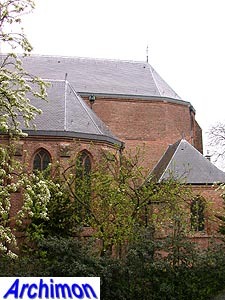 The church in its original form was a three-aisled pseudo-basilica. 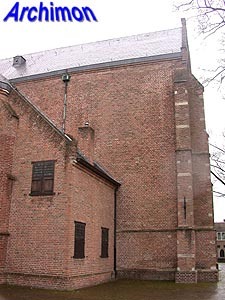 After 1433 it was modified to its current size. 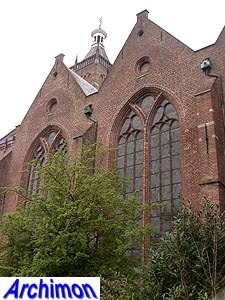 The side-aisles were widened and heigthened and given large windows. 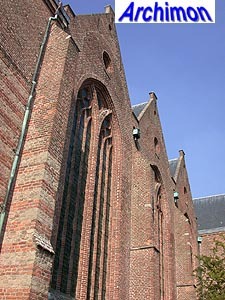 the choir was lengthened and given lateral choirs. 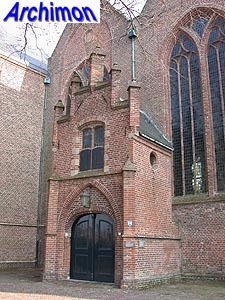 At the north side a portal was built. 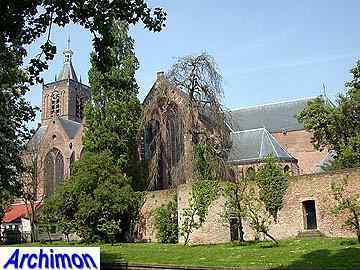 After a great fire destroyed much of Vianen in 1540. 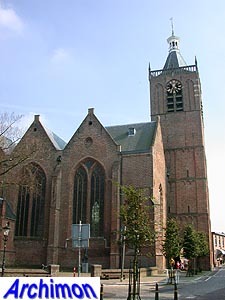 The church was rebuilt to its current shape. 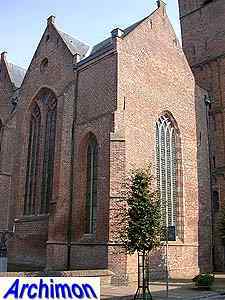 The nave and the choir were heightened and a transept was added. 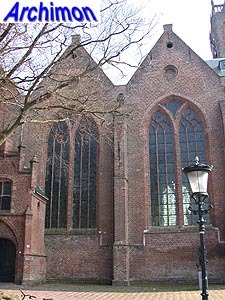 The number of traves of the nave as reduced to three, and the side-aisles were given tall gables with large windows, turning the nave into a hall-church of the The Hague hall-type. 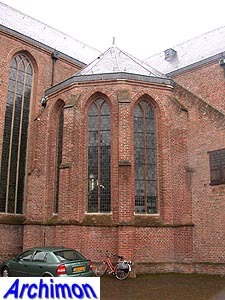 Traces indicate that some of the windows were originally even bigger. 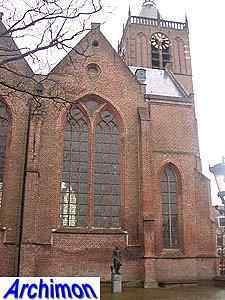 In 1566 the church was confiscated by the protestants who have used it ever since.